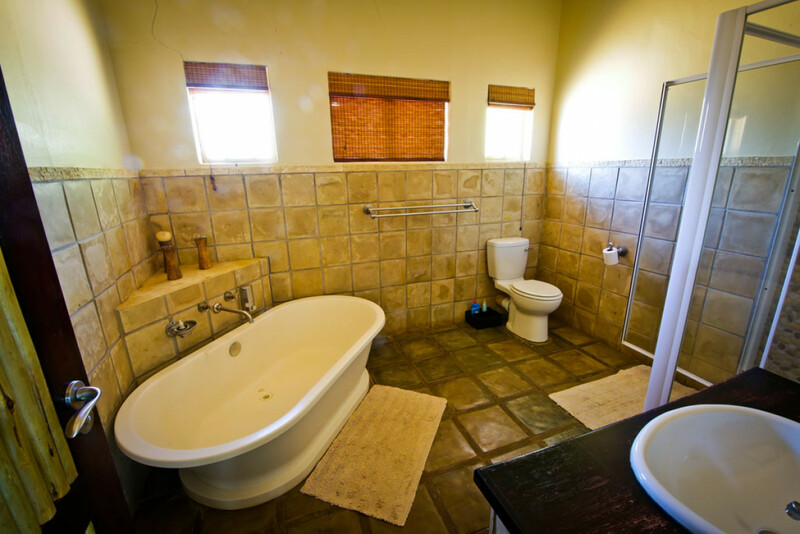 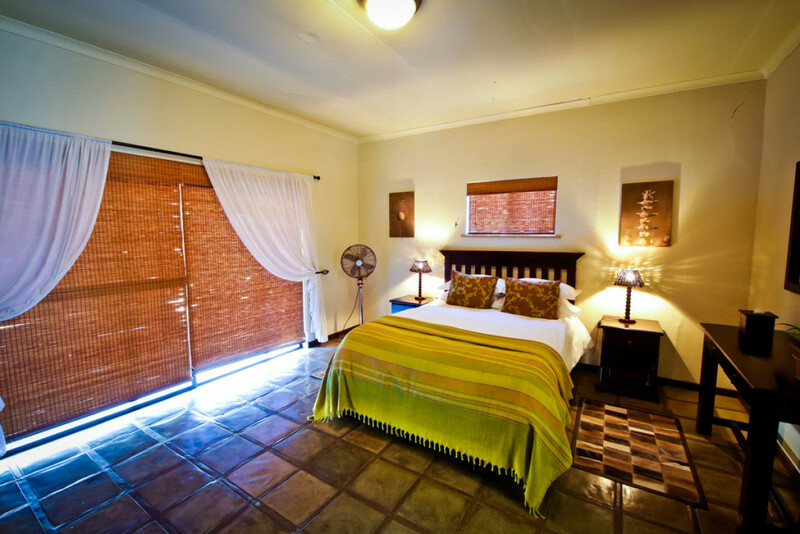 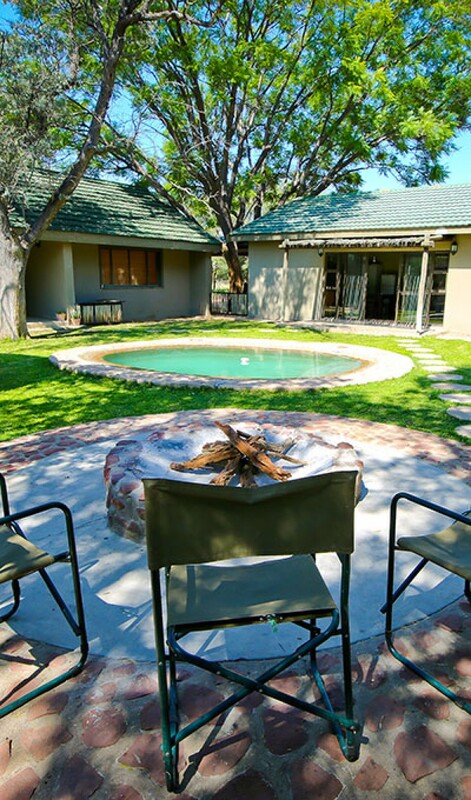 The Nest is a fully equipped Self-Catering Holiday Cottage, situated privately in the bush-area about 6km from the main lodge. 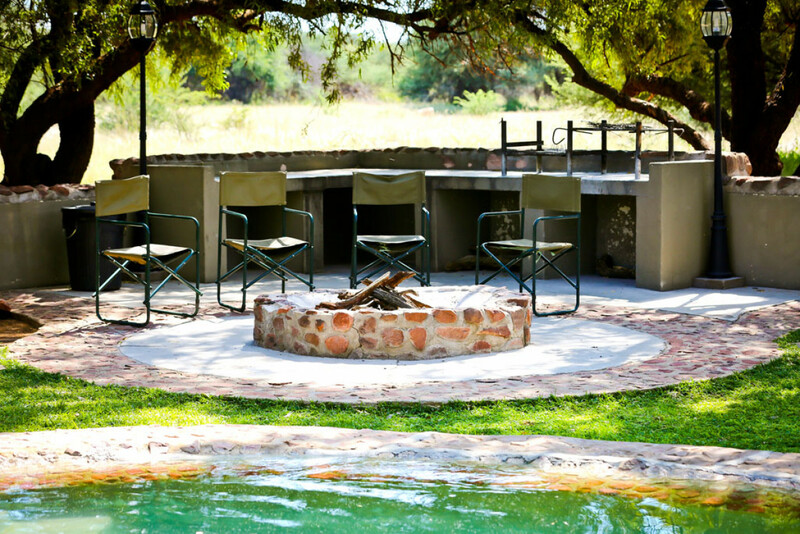 An illuminated waterhole makes sure you won’t miss the thirsty wildlife through the night and you can enjoy the beautiful bird life around this waterhole. 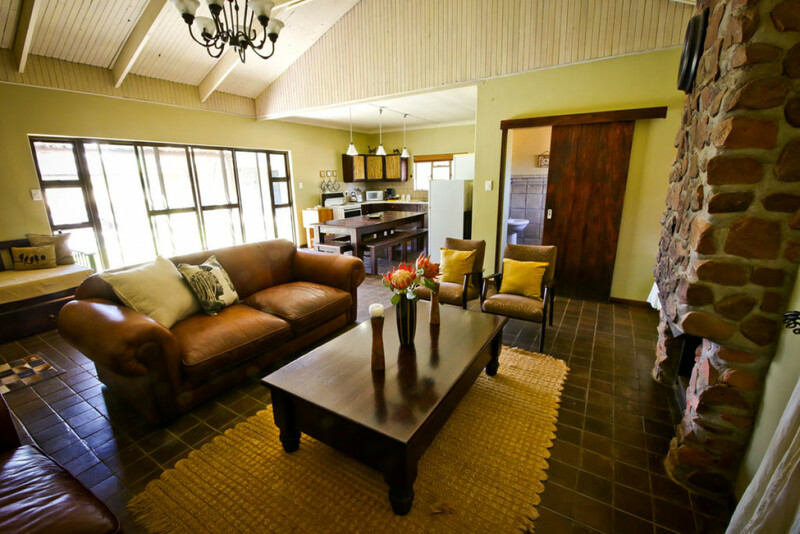 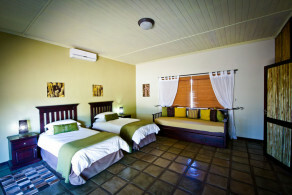 This 5-bedroom self-catering unit provides sleeping facilities for up to 16 people, with an open-plan kitchen. 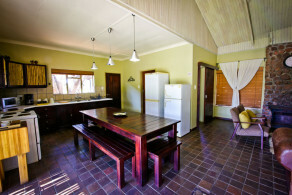 Ideal accommodation for a group of friends or a family. 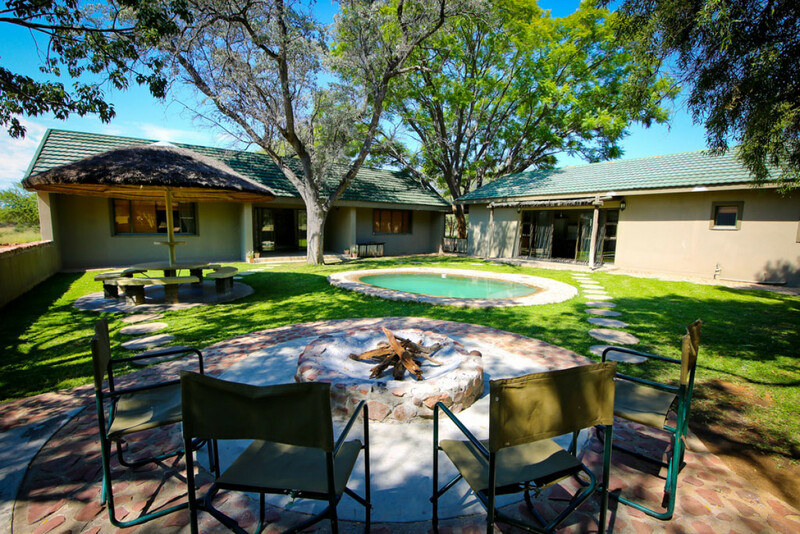 A cozy swimming pool with a BBQ area, surrounded by big trees gives you the refreshing relaxation you need after a long, warm African day. All guest must check in at the main lodge and get direction to the Nest. 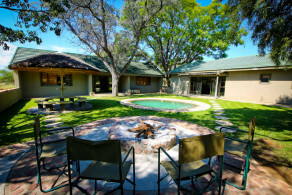 No self-driving is allowed. 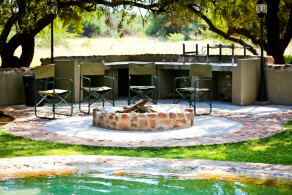 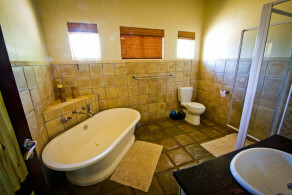 Game drives can also be booked at reception.